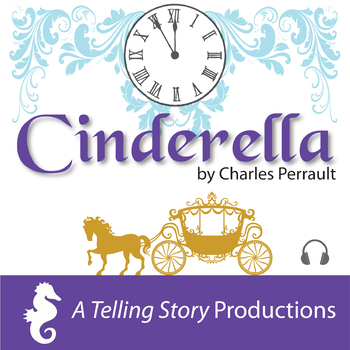 Cinderella is the classic children's tale about a young girl, abused by her stepmother and stepsisters, becomes the belle of the ball with the help of her fairy godmother. This 15 minute story is perfect for storytime, a bedtime story, or on a long trip with kids. The audio reading linked in this file was created for early learners of English as a second language by A Telling Story Productions. Included is a pdf file with a link to the audio file on the A Telling Story Youtube channel. Please visit, subscribe, and give us a like! Check out more audio stories in Donald's English Classroom! Stay connected with Kinney Brothers Publishing! Visit our web site or check out our blog! You can also connect with us on Facebook, Twitter and Pinterest!